Almost 3 years ago to the day I had a vision. A vision I hoped one day, would become a reality! 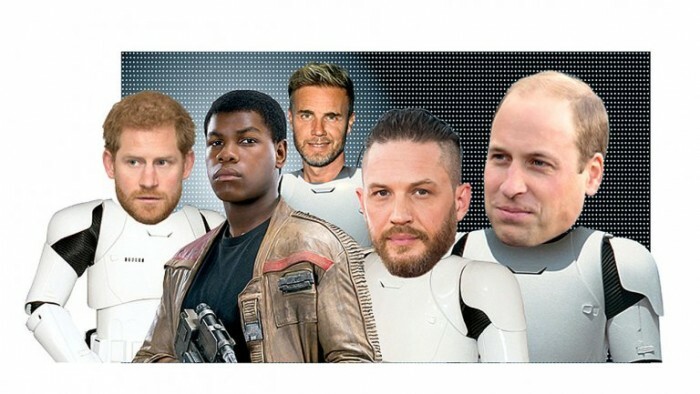 Ever since I was a little boy I’ve always dreamt of appearing in a Star Wars movie…. a dream shared by millions of other Star Wars fans around the world!! So how do you go about turning a childhood dream into a reality? What does it take exactly? And where on earth do you even begin?! That’s the story I wanted to tell and thats the journey I planned to document. In 2012, The Walt Disney Company bought Lucasfilm for a whopping US$4.06 billion and earned the distribution rights to all subsequent Star Wars films, beginning with the release of The Force Awakens in 2015. Disney confirmed it actually had 6 Star Wars movies planned through to 2020. Music to my ears! That was all the motivation I needed to kick start my project. So in January 2015 I hatched a plan to land myself a role in one of the most popular movie franchise on the planet. Creator of Star Wars, George Lucas originally planned to produce 9 Star Wars movies. These would be divided up into 3 trilogies. Now this is where it sometimes gets a little confusing, mainly because these 3 trilogies have all been released out of sequence. On top of that, Disney have now also commissioned a selection of separate stories, which focus on some of the other key characters from within the Star Wars saga e.g. Rogue One, Han Solo, and Obi Wan-Kenobi. These are the films I grew up loving and watching which were released in the late 70’s & early 80’s. They feature the likes of Carrie Fisher (Princess Leia), Harrison Ford (Han Solo) and Mark Hamill (Luke Skywalker – The films hero). The next batch of movies to be released were Episodes I, II, & III (1,2,& 3…just incase! ). These were released in the late 90’s & early 00’s and take us back to the very beginning of the story. The plot here focuses on a young boy called Anakin. George Lucas washed his hands of the “epic space opera media franchise” when Disney bought Lucasfilm, in October 2012, but prior to the acquisition, he had been developing his own version of what might have been Episodes 7, 8 & 9. I wonder what those films would have looked like? 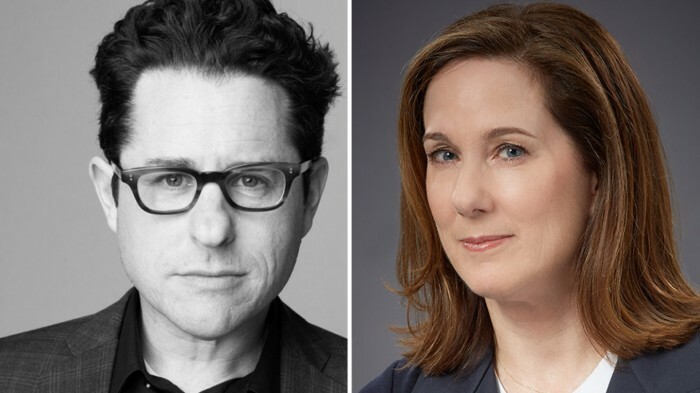 Disney announced Lucas’ successors as JJ Abrams & Kathy Kennedy. 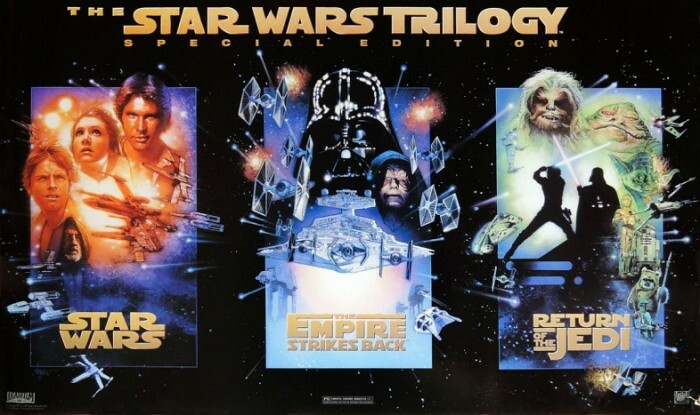 It would now be their responsibility to bring this final trilogy of Star Wars films to our screens. No pressure there then!!! To help fuse the different generations of Star Wars fans and “to help bring unity to the galaxy” it was revealed that the newest trilogy of movies (due for release in 2015, 2017 & 2019) would also feature the original cast from Episodes 4, 5, 6. For Star Wars fans around the world this announcement was spine tingling! How good would that be to see the old gang back together again? But how on earth did Disney plan to re-intergrate these legendary ‘old’ characters back into the story? Mark Hamill, Carrie Fischer, and Harrison Ford had all aged considerably since making their Star Wars debut in 1977. In my opinion, the fact that the original cast have naturally aged adds even more depth to their characters in these new movies. Episodes VII, VIII, & IX…(that’s 7, 8 and 9!!) will bring the curtain down on the ‘Skywalker’ side of the story. New cast members include: Daisy Ridley, Jon Boyega, Adam Driver and Oscar Isaac. Family * Friendship * Following a dream * Good vs Evil * Battling against the odds * Disapointment * Sadness * Anger* Dark vs Light *Conflict * Discipline * Growth * Self-Development *A journey * Inspiring * Motivational * Creative * Purpose * Restoring ‘Balance’ * Happiness * Life * Acceptance * Gratitude * Resolve * Conclusion. At its foundation I wanted to create a body of work that would capture the eye of Kathy Kennedy & JJ Abrams, something unique to get me on their radar, so that when it came down to the final casting process my name was right there in front of them. A) I wanted to target an instantly recognisable character from the Star Wars franchise. B) I wanted this character to represent ‘an achievable goal’. A role anybody could realistically achieve with the right strategy. C) Sheer numbers. 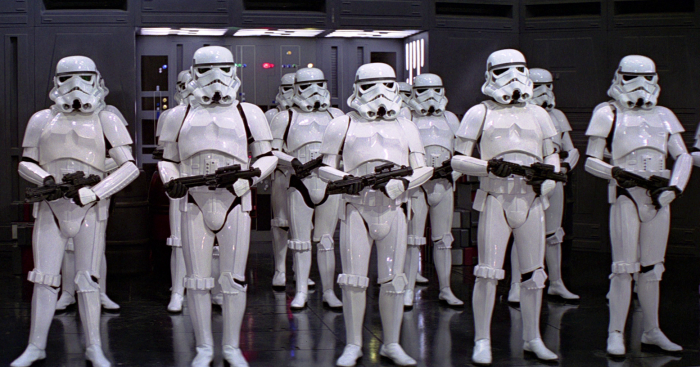 There’s literally thousands of Stormtroopers in Star Wars. 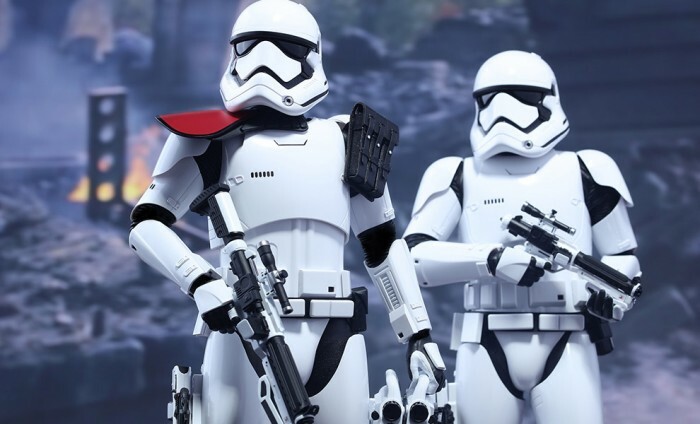 They perform a variety of roles from ‘Patrolling the Death Star’ to ‘Combat situations’ on planets like Endor, Hoth and Scarif. And the longer this war rages on, the more likely it is that Disney will need to call for re-inforcements. Thats’s where I come in! 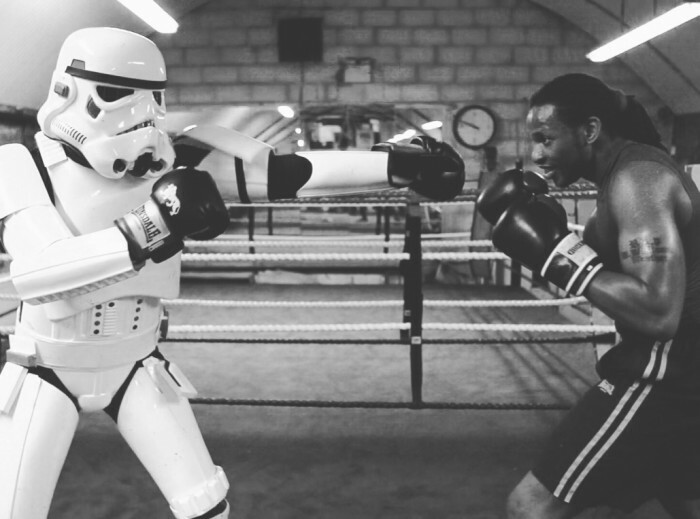 “Aren’t you a little short for a Stormtrooper“. Nope! In fact I’m the perfect height to be a Stormtrooper. 5 ft 11. 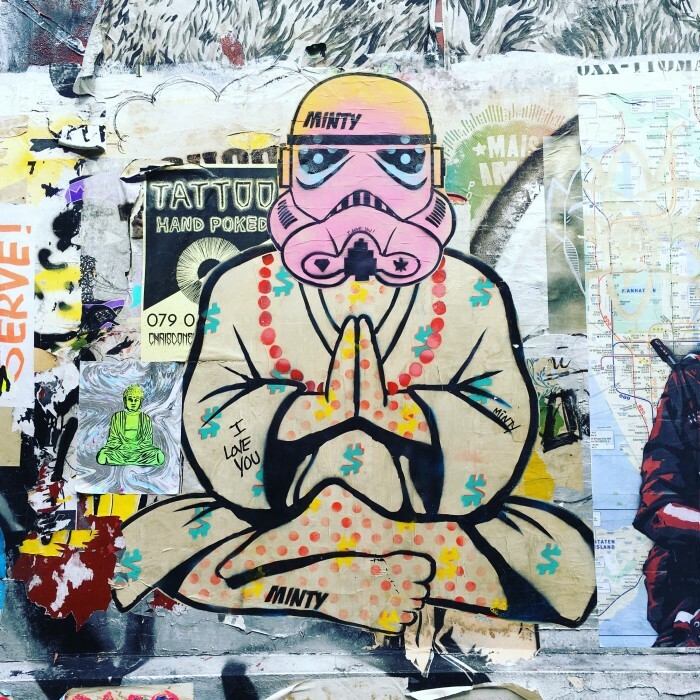 In this series ‘Stormtrooper’ represents any dream. Whether you want to be an Actor, a Musician, a Professional Sportsman, a Lawyer, a Doctor, or even an Astronaught, the process of achieving any goal is still exactly the same. I genuinely believe anything is possible in life, but success only comes from hard hard work. I wanted to showcase this process in my Stormtrooper project. There’s no doubt I’ve given myself a bit of a mountain to climb with this particular project and my brain (rational side) totally recognises that, however my heart (emotional side) genuinely feels I can pull this off. I’ve always listened to my gut instinct in life and very rarely has it let me down. Tier 1: Finishing the project and seeing it through to the bitter end, no matter what the outcome. Tier 2: Coming away with a body of work I can be really proud of and can use moving forward in my career. Tier 3: Getting the series commissioned by Disney/Bad Robot and distributed on TV/Online. Tier 4: A scenario where everything goes perfectly to plan and I end up fulfilling my childhood dream of appearing in a Star Wars film, as a Stormtrooper. This project screams out “Look at me!” (Guilty!) But I’m prepared to work as hard as it takes to succeed in this industry. This project has tested both my mental and physical strength, and that’s all part of the development, to build up a resilience and mental toughness to succeed ‘in the business’. I encourage you to look ‘beneath the armour’ when watching this series, hopefully there are some positive life lessons in there for any young, aspiring, professionals. Over the last 3 years I’ve put my heart and soul into this project and into achieving 1 specific goal. This 9 part series has taken me on an incredible journey and I genuinely feel like I have come out of the other side a better person for it. Its healthy to have a childhood dream. Just don’t loose sight of that dream. 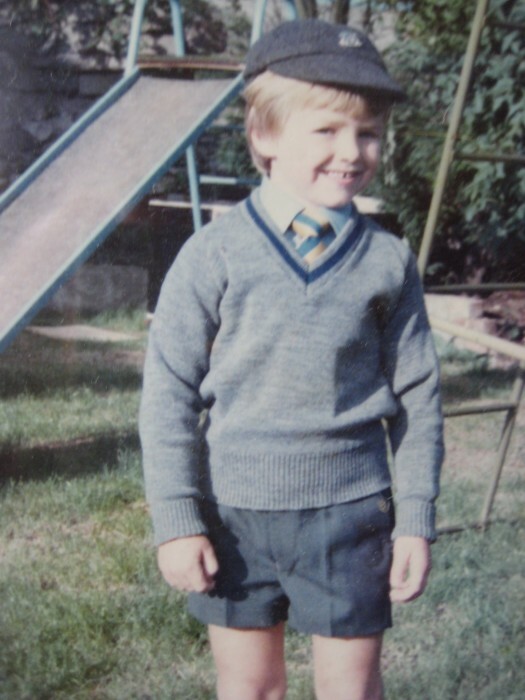 My childhood dreams included wanting to be James Bond, flying on a Concorde and appearing in a Star Wars film as a Stormtrooper. Age 35 I realised I’d achieved none of those things, so I decided to do something about it. For a truly authentic Star Wars experience may I suggest watching these Stormtrooper episodes in exactly the same order the original Star Wars trilogies were released (i.e. 4, 5 & 6, followed by 1,2, & 3, finishing up with 7,8, & 9). Overview: Light-hearted, funny, and above all…. real. This series had to be challenge orientated and have real jeopardy. Will he? Won’t he? High stakes! I wanted it to be funny, and I wanted it to represent a period in time (both in my life and in my career). In pursuit of 1 definitive goal. A story which develops organically. Shot on a limited budget, but with high production values. 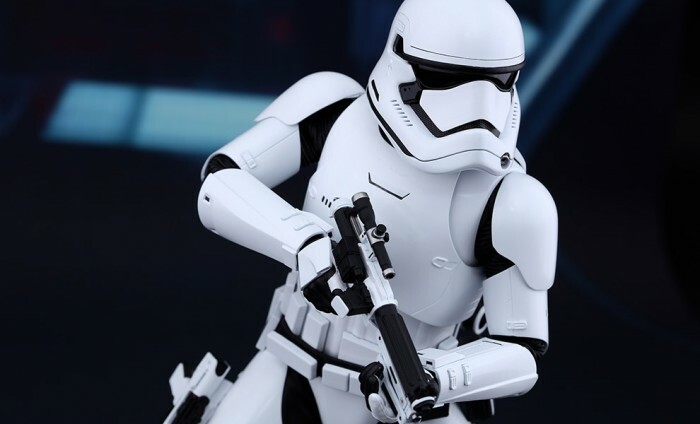 Star Wars themes, messages and soundbites feature through out. Why did I create a mood reel? 1. Sell the format idea I had in my head. 3. Achieve a life long childhood dream along the way. A 1 year project, which would keep my creative juices flowing whilst work was thin on the ground, something I would own the rights to and hopefully make some money from…. one day! When I started this project I lacked a purpose and direction. The mood reel really helped me to maintain my focus! 3 years on and I’m exactly where I want to be, doing exactly what I want to be doing. I’ve made so many mistakes along the way with this project, but through trial and error and with a little help from my family and friends I’ve learnt some valuable lessons from those mistakes and ultimately find myself in a much stronger position for making those errors. So let’s see if I can shoe horn my way into just 1 scene! Thank You very much for taking the time out to read this blog. Hopefully it gives you a deeper understanding of what I’ve been up to over the past couple of years!? 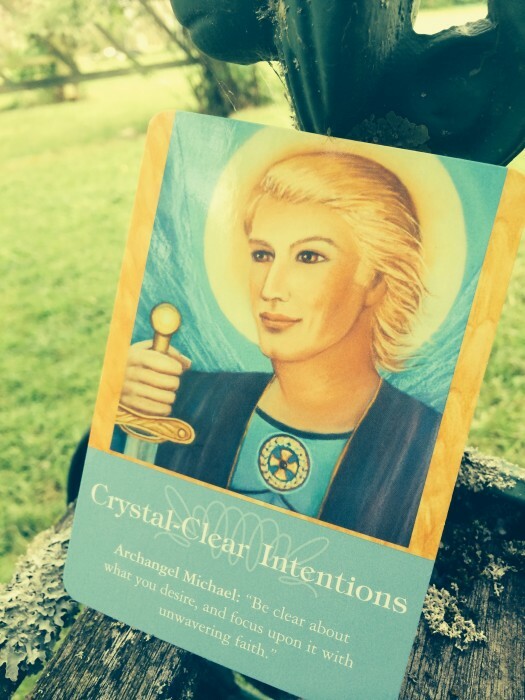 Additionally, I hope there’s something extra for you in this body of work, something that you can take away and apply on your own individual journey. Wishing you and your loved one’s all the best for 2018.